There is nothing quite like a boutique residence in a tropical paradise. They are less dense than larger projects ensure those staying here are able to relax and get away from it all. In Phuket, there is no better boutique developer than Kata Sea View Condotel. The developer’s skill has been recognised by The Dot Property Thailand Awards 2017 who named Kata Sea View Condotel as Best Boutique Developer Phuket for its impressive efforts in this category. 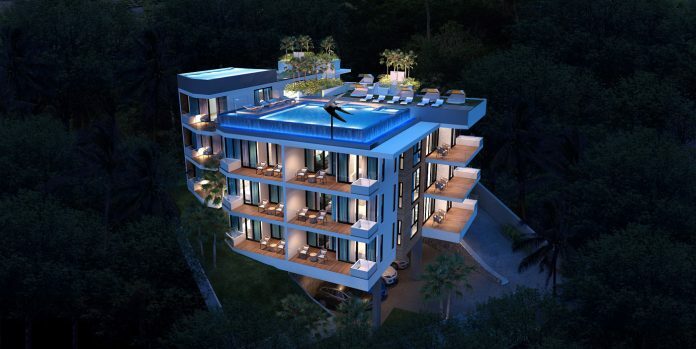 Splendid Condo is the developer’s signature project and happens to be one of the most exciting projects in Phuket. It offers a uniquely luxurious lifestyle, where every day is a tranquil experience to be enjoyed. 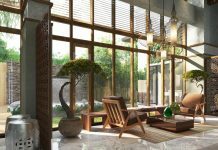 The high-end community of homes is individually designed to celebrate the moods of the Andaman Sea. Every resident at Splendid Condo enjoys the pleasure of a stunning sea view overlooking the Kata-Karon Bay. The hillside location ensures unobstructed views of the water and a secluded space away from the hustle and bustle found closer to town. The project boasts unmatched tranquillity with the collection of 13 bespoke residences offering a splendid lifestyle filled with peace and privacy. 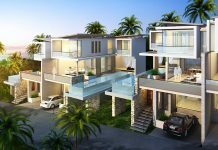 There are one- and two-bedroom condominium units as well as duplex apartments and a spectacular rooftop penthouse at the complex. Every residence at Splendid Condo comes furnished in an aquatic theme. And what better way to enjoy the sea view than to do so while soaking in the Jacuzzi tub on the private balcony or rooftop vantage hangout that can be found in every unit? It’s the perfect place for watching the sunset and taking in this island paradise. The developer promises only the best by using top-of-the-line materials and utilising practical and durable designs of the highest quality. The result is beautiful homes that have been built to last a lifetime. Situated on the west coast of Phuket, Kata Beach and the town of Karon are well known throughout the world. 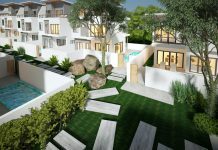 Splendid Condo is a five-minute drive from the pristine beachfront, nestled in the natural hillside surroundings of the bay. Once a quiet fishing village, Karon is now a well-established international community and well-connected tourist destination. Despite this, the town hasn’t lost its distinct, rustic appeal. You’ll find plenty of local eateries and shops that capture the region’s spirit and history. There are plenty of spas, cafes and entertainment options near the development meaning whatever you need is only a short drive away. Whether you want to play a round of golf, explore the local art scene or see the sights of Phuket, it is all at your doorstep. Boutique projects require a developer to understand buyers, the local area and design trends. It then has to use this knowledge to artfully craft residences that are truly unique. With developments like Splendid Condo, Kata Sea View Condotel has shown it can do just that. 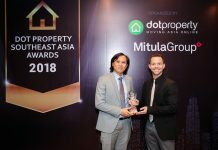 It is that ability that allowed the firm to win Best Boutique Developer Phuket at The Dot Property Thailand Awards 2017.